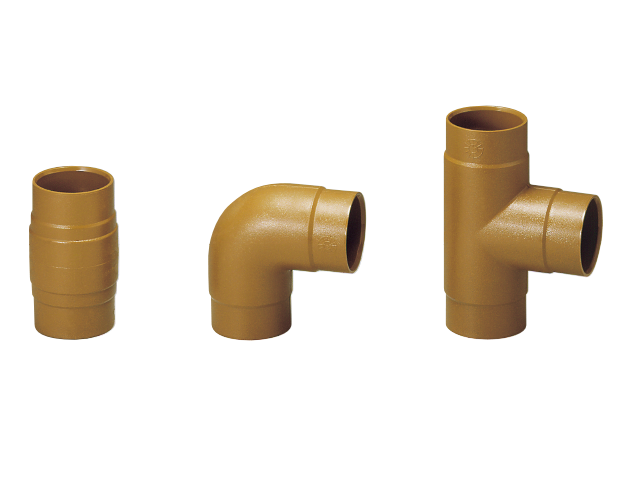 Screwed type malleable cast iron pipe fittings (JIS B 2301) with their outer surface coated with hard PVC resin. Hard PVC resin coating forms the same socket. VF fittings form a unique anti-corrosion socket and must use butyl tape as filler.